Lest there be any fornicator, or profane person, as Esau, who for one morsel of meat sold his birthright. For ye know how that afterward, when he would have inherited the blessing, he was rejected: for he found no place of repentance, though he sought it carefully with tears (Hebrews 12:16-17). Why did the author of Hebrews tie the root of bitterness to Esau? If you have never read the scripture where Jacob, his brother, beguiled Esau into losing his birthright and his blessing, please read Genesis 25:21-34, 27:1-46. And Esau was forty years old when he took to wife Judith the daughter of Beeri the Hittite, and Bashemath the daughter of Elon the Hittite: Which were a grief of mind unto Isaac and to Rebekah (Genesis 26:34-35). Don’t team up with those who are unbelievers. How can righteousness be a partner with wickedness? How can light live with darkness? 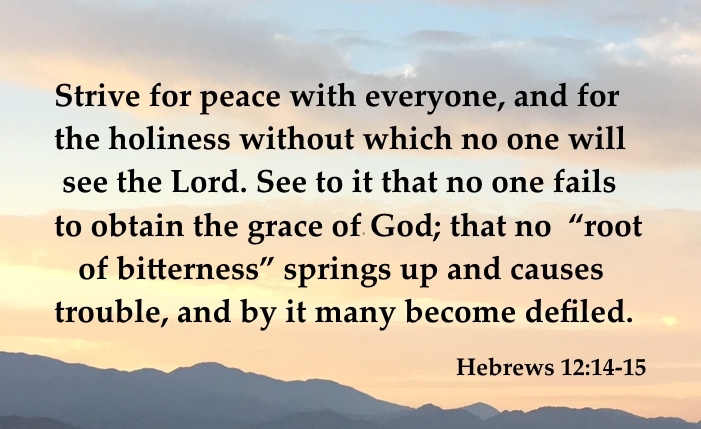 What harmony can there be between Christ and the devil? How can a believer be a partner with an unbeliever (2 Corinthians 6:14-15 NLT). Justifying Bitterness will Lead us to Hell! There are many times when believers will justify their bitterness. On the surface, it even makes sense because of what other people do or say to us. Those things can offend or hurt us to the core, both mentally and physically. The problem is though, that without forgiveness, we can carry this unrepentant sin to the grave and to hell. And Esau hated Jacob because of the blessing wherewith his father blessed him: and Esau said in his heart, The days of mourning for my father are at hand; then will I slay my brother Jacob (Genesis 27:41). You will live by your sword, and you will serve your brother. But when you decide to break free, you will shake his yoke from your neck (Genesis 27:40 NLT). And Esau ran to meet him, and embraced him, and fell on his neck, and kissed him: and they wept (Genesis 33:4). I heard some preaching recently that explains that Esau did not actually forgive Jacob with this kiss. In the Torah, there is a line of dots over the word "and kissed him" and that the line of dots means that this was not a true kiss. (Go here to read more about the kiss with the dots and the Jewish interpretation.) We see this in everyday life as well. Have you ever received a big hug from somebody and then find out it was not authentic because behind your back they were spreading malicious lies and rumors about you? Bitterness can be passed down from generation to generation. Bitterness and hatred can be passed down from generation to generation. A relatively modern example is the Hatfields and the McCoys. This account says that the feud lasted some 150 years. In the case of Esau, the bitterness was passed down from generation to generation for over 1000 years. Esau's grandson was Amalek (Genesis 36:12), the father of the Amalekites, and dire enemies of Israel. Israel was at war with the Amalekites until the days of King Hezekiah when the last of the Amalekites were slain (1 Chronicles 4:41-43). Esau was also called Edom (Genesis 25:30). It was the Edomites that did not allow the Israelites to cross their land (Numbers 20:14-21). Kings Saul, David and Ahaz warred with the Edomites (1 Samuel 14:47, 2 Samuel 8:14, 2 Chronicles 28:17, respectively). Then Malachi instructs us that the Lord was not going to allow the Edomites to return to Israel (Malachi 1:2-5). 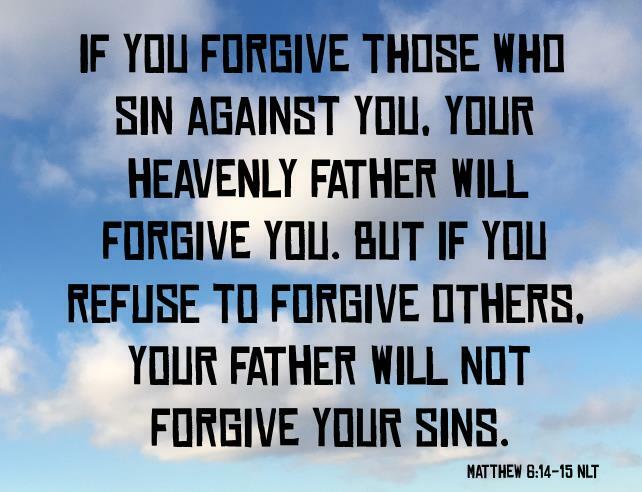 If you forgive those who sin against you, your heavenly Father will forgive you. But if you refuse to forgive others, your Father will not forgive your sins (Matthew 6:14-15 NLT). And when the day of Pentecost was fully come, they were all with one accord in one place. And suddenly there came a sound from heaven as of a rushing mighty wind, and it filled all the house where they were sitting. And there appeared unto them cloven tongues like as of fire, and it sat upon each of them. And they were all filled with the Holy Ghost, and began to speak with other tongues, as the Spirit gave them utterance (Acts 2:1-4). Throughout the Book of Acts, God continued to pour out His Spirit on both Jews and Gentiles, and He has continued that over the last two thousand years unto all those that truly believe.